Cameron is a highly experienced teacher and teaches students of all levels and all ages. He is particularly in demand to tutor advanced students achieving success in solo competitions. He holds the highest Instructor qualifications from the Royal Scottish Pipe Band Association and the Piping and Drumming Qualifications Board and is also an examination Assessor. He currently works as a Music Teacher at Bootham School and St.Peters School in York specialising in Bagpipe and music theory and has previously taught at Giggleswick School near Settle. 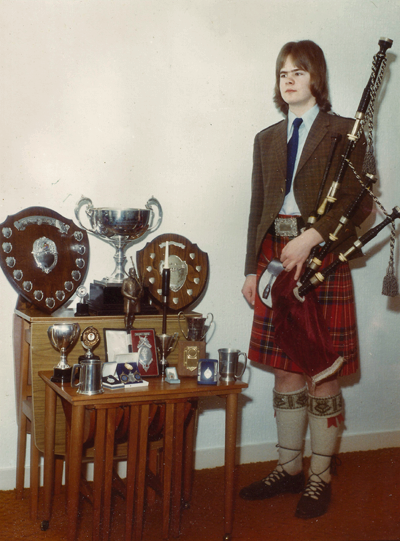 In addition to teaching soloists he regularly tutors groups and pipe bands in England and throughout Europe.